While many people might glance up at the stormy April skies with a sense of disappointment we in the seasonal boating family tend see it as the first rays of light drawing us out of our wintery shelters. After a seemingly endless cycle of cold weather, icy roads and frozen waterways, like bears emerging out of our caves and blinking cautiously to ensure our eyes have not deceived us, we take our first tentative steps into Spring. Once we accept those dreary days are in the past, however, we are ready to rush headlong into our annual pre-season preparations. Those days of watching, with solidly green eyes, our year-round boating colleagues are definitely in the past and we eagerly look forward to joining them bouncing along our lakes and jumping head long into our glorious waterways. We too are now able to appreciate early morning sunrises as we head out the channel or late night sunsets as we reluctantly turn our bow towards home. Do we love the water more than those who can experience it every day of the year? I am not sure but I am sure that boaters, like children on their birthdays, anxiously count down the days and hours until their beloved vessel is put back into the water and they can take their first steps into the new season. Of course in our feverish anticipation to shed our wintery slumber we are perhaps trying to run before we can walk. We must first pause, breathe and then logically prepare ourselves for the upcoming season. As all good boaters know there is a significant amount of prep we need to do prior to that blissful moment when her hull first touches the water. Prep we might add that is not limited to our vessel but should also encompass ourselves and our family and friends who will most certainly join us out on the water. To start, a spring checklist is essential for any boater to ensure that your vessel is as ready for the season as you might be. We as boaters also have to shake months of inactivity and re-engage buried skills that over the colder months have huddled for warmth in the depths of our memories. One of the best ways to do this is by taking a boating course or at least cracking open one of our favourite nautical books. Our seasonal preparations are really no different. In fact, in many ways, it’s one of our busiest periods as over the cold winter months the administrative, training, safety and maintenance teams have all been working to ensure a safe season ahead. 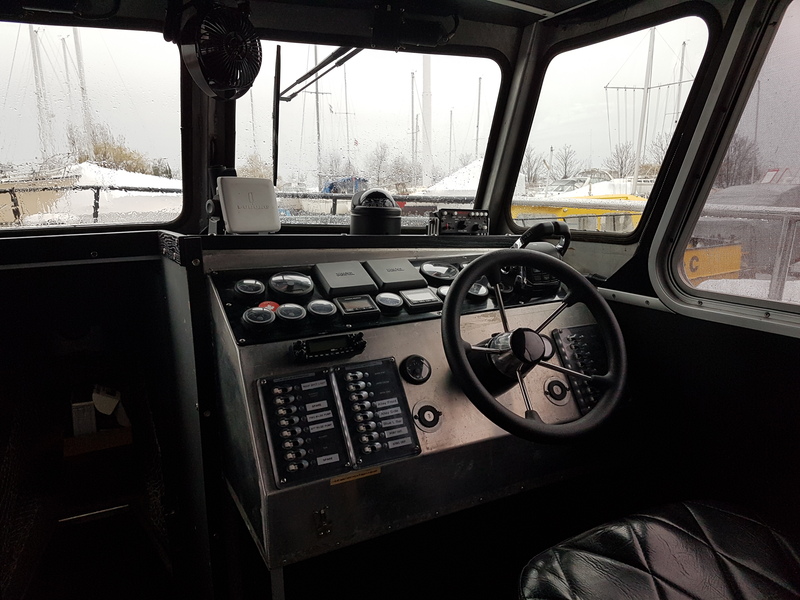 Come spring time this machine swings into high gear to make certain our crew members, both excited newcomers and of course our core of grizzled veterans, are ready to take to the water and ensure all is in place for a safe and successful season. Remember though pre-season preparation doesn’t just include your vessel. For the folks in PARA this is usually, as might be expected, a little more intense. 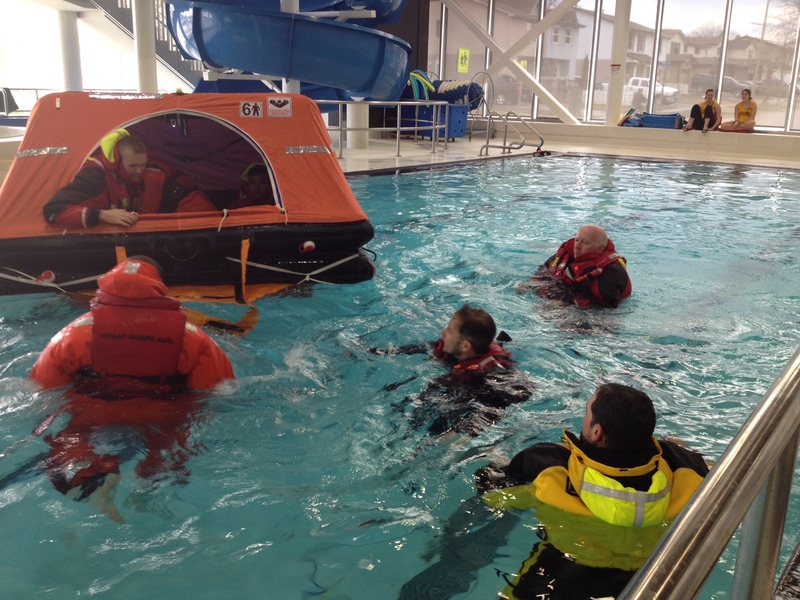 Each new member needs to start their journey through our Canadian Coast Guard Auxiliary Central & Arctic (CCGA) Phase 1 and Phase 2 courses which includes both an in classroom and on water component. But it doesn’t stop there. Our training team works hard to prepare additional courses that will enhance the skills we learn in our core courses. 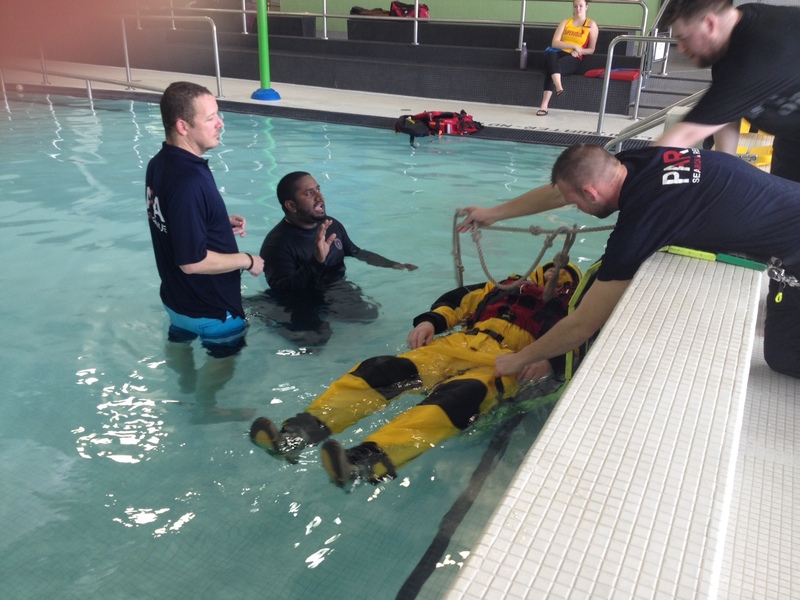 These skills cover a wide range of topics including navigation, first aid, assisting divers in distress as well as making sure we take some time to review some of the worst case scenarios as part of our abandon ship and man overboard recovery pool session. While we look to clear the cobwebs from our memories, the maintenance team spends the cold days working hard to clean up last season’s bumps and bruises and look for any aspects of the vessel or about our equipment that might need some extra TLC in order to enhance her functionality and the overall safety. 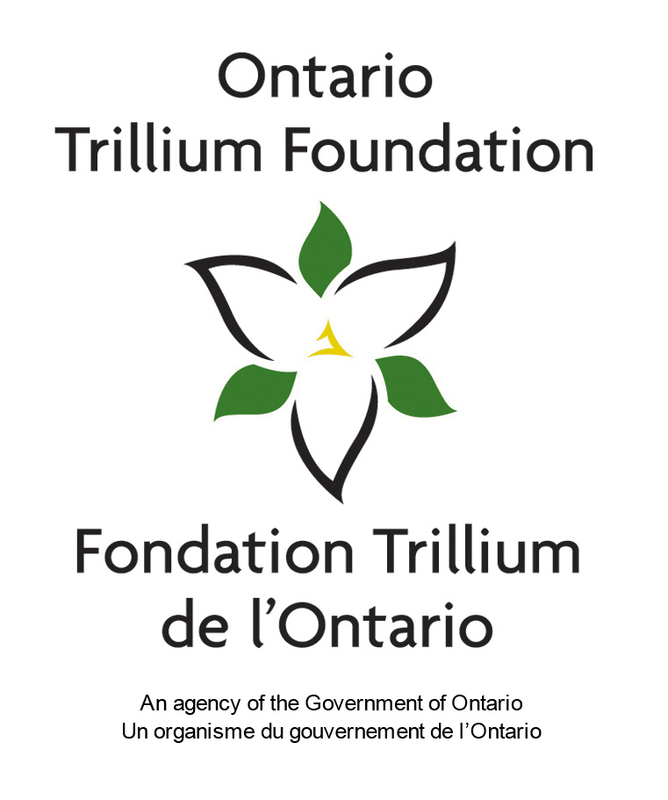 The tireless work this off-season of our fundraising officer has resulted in some generous grant support from all over our local community. These funds have enabled our maintenance team to take this off-season’s work to a whole new level. We have been able to give our vessel a significant internal refit. With a focus on functionality, efficiency and safety the results are amazing. 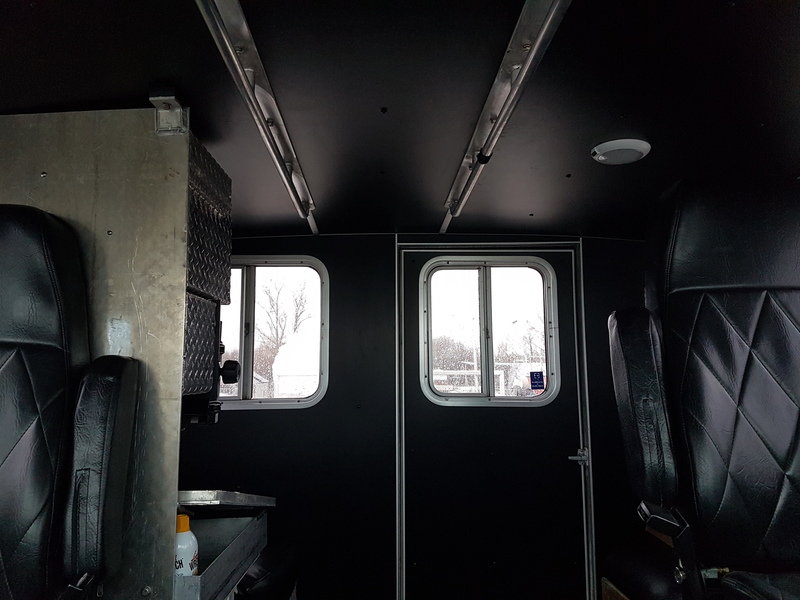 I am sure the entire crew is chomping at the bit to get back on board and explore every nook and cranny as they surely appreciate the great work that has been done, all thanks to our generous donors. One might think that our spring prep is all work and no play but nothing could be further from the truth. As the warmer weather approaches there is also a significant upswing in our community events. Our members love to get out and about to meet boaters and non-boaters alike. It’s a chance for us to share not only our local nautical knowledge but to also give back to the communities that have given so generously to us. Spring in particular is one of our favourite times. With a real sense of optimism and anticipation hanging in the air we get to participate in some of our favourite events. This year started with a little mystery as we played host our 2nd Annual Easter Egg hunt (with a special bunny hopping in to say “Hi” to the kids). Focus then shifts to one of giving back as we participate in our local Take Pride in Earth Day event. One of our real joys at this time, however, comes as we make our transition from pre-season to patrol season. The Paddle the Don allows us to step outside of our norm and assist from the muddy banks of the Don River as first timers and experienced paddlers’ work their way down the Don to the shores of Lake Ontario. Yes it’s a busy time in April for all boaters and we at PARA are no exception. Our training, maintenance and community teams are all hard at work to kick off the season on the right note. And this year, as with others, they have raised the bar higher than ever before. Before we close off, however there are two teams I have not yet mentioned. It’s these two that build the stable platform within the organization to ensure all our members are successful. The first is our hard working administration officer who coordinates interviews and on boards all of our new members. A bumper crop of new applicants this year have kept him especially busy but as always he is up to the task. His quiet dedication and tireless efforts do not go unnoticed. So who might be left? We can assure you that we have saved the best for last. Our safety team works hours on end to make sure all of our procedures are not only clear but also safe. Their only goal is to ensure that we all arrive back at the dock with a smile on our faces knowing we did so without a single injury. Their attention to detail is unmatched and what might, to a lay person, seem like nitpicking, we know is a careful and thorough review to ensure the highest level of standards are kept and met from day one of the season to the day we sadly take her out again. Yes their due diligence is always appreciated and we, as always, thank them for their efforts. With brings us back to the rain. It’s an overcast day and tomorrow holds much of the same. We know though that those clouds, while full, play host to only rain as the snow seems a distant memory. So while it’s wet outside, that’s ok, we simply throw on another layer to keep out the chill and head down to the marina to put on those final finishing touches. Playoff hockey is on TV, there is warmness to the nighttime’s chill and that brings a smile to our faces. It’s time to break open our charts and dig out our kit as Operations Day is only a week away and the season is about to unfold. We look forward to seeing all of you out on the water and of course remind you to always be prepared, know the weather forecast and let someone know when you are due back.